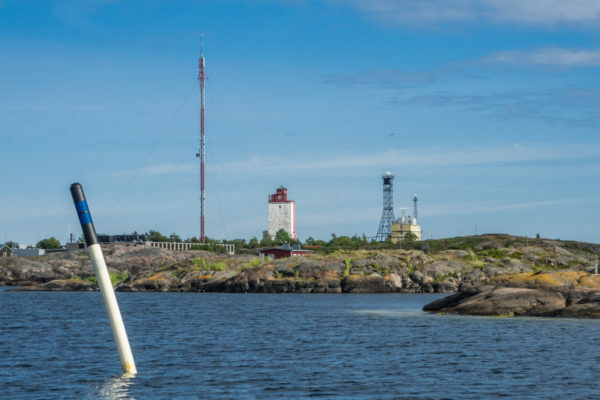 Utö lighthouse island - at the edge of the archipelago - Sail in Finland! The entry into the sheltered harbor is from the north-west (the “white” side of the lighthouse). One of the few safe routes into the Archipelago sea passes just west of the Utö lighthouse island and the lagoon to the north of the main island is a very good natural harbor. These are two of the main reasons why Utö has been one of the most important navigational landmarks in the Archipelago sea. 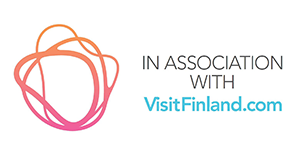 For many centuries it has welcomed sailors and provided the first contact to Finland. 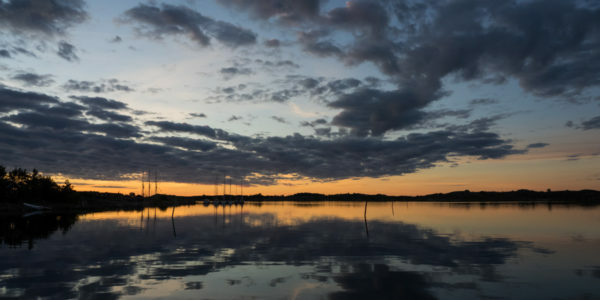 The Utö harbor has been used by pilots singe the 17th century. In 1753, the first lighthouse in Finland was built on Utö. The lighthouse was destroyed in the 1808-09 war when Finland ended up changing hands from Sweden to Russia. Only a couple of years later, in 1814, the current lighthouse was built. This makes it the oldest still functioning lighthouse in Finland. 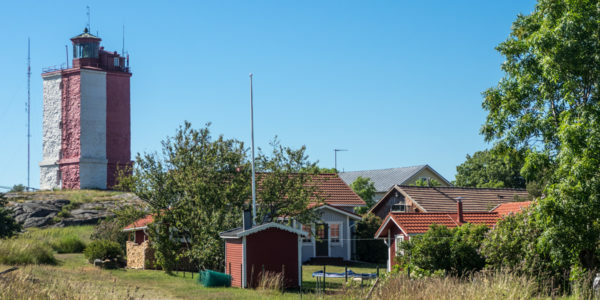 A tour to the lighthouse is reason enough to visit Utö. 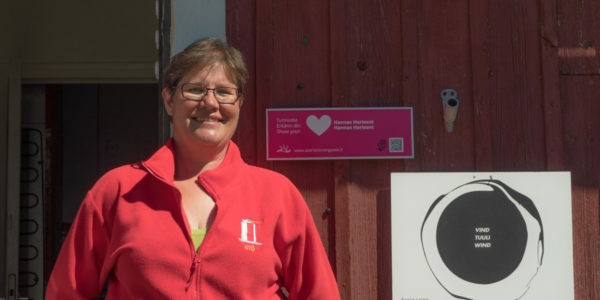 Sign up for a great tour with local guide Hanna Kovanen (owner of Hanna’s horisont). Not only do you get to enter the lighthouse, you also get to hear some amazing stories from the island as Hanna is native Utöan. 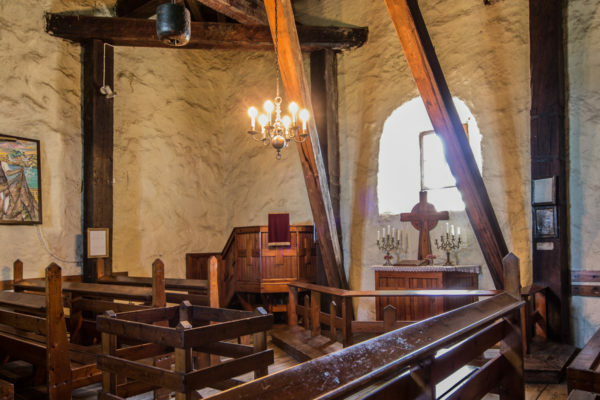 A special curiosity of the lighthouse is the small church housed on the third floor. Hint: If you are a lighthouse buff and need a very special place to get married, it does not get much better than this. The Utö village huddles below the lighthouse. But Utö is not just the lighthouse. 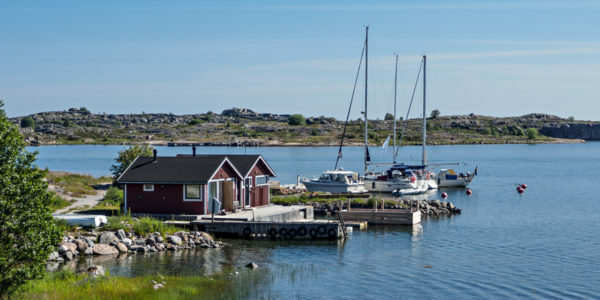 Today the island of Utö is the southern-most permanently inhabited spot in Finland with some 50 inhabitants. The island also has the southernmost school, with currently 5 pupils. Utö also has a nice shop, a hotel with a restaurant, cottages for rent, a cafe and a souvenir shop at Hanna’s horisont and lots of interesting places to visit. The hotel marina with the shoreside saunas. 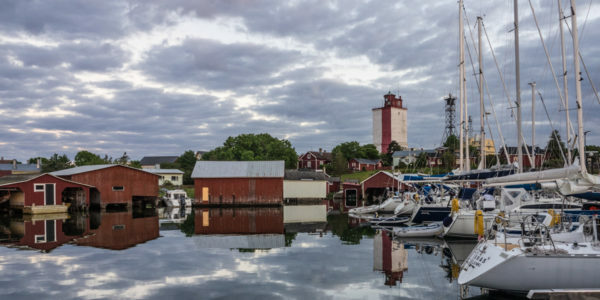 For boaters, Utö offers two guest harbors. The first one as you enter the harbor lagoon is the new marina operated by the Utö Havshotel. This harbor offers good services such as showers on the pier, the possibility to rent the shore side sauna and electricity and water and the pier. The cost (2015) for a night was 25€. The downside of this marina is that it is not quite as sheltered as the inner village harbor. The village harbor is located at the bottom of the lagoon, on the inner side of the long concrete pie. The outside is reserved for the pilot vessels and should not be used for mooring. The most important feature of the village harbor is that it is very sheltered so head there if you are expecting heavy weather, especially from to south or east (when the hotel harbor is the most vulnerable). Other services include toilets (dry), electricity on the pier and close proximity to the village and sights. 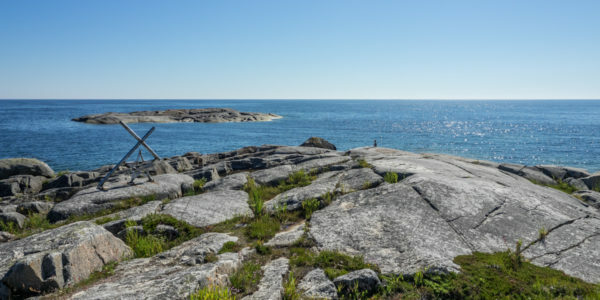 The south tip of Utö with a memorial for the three-masted bark Draken which sank outside Utö on November 11, 1929. If you do not have access to a boat, you can also visit Utö by ferry. One of the many archipelago ferries, m/s Eivor, runs daily from Pärnäs (Nagu/Nauvo) to Utö. And the best thing is that the ferry actually is free! Overlooking the sheltered lagoon on a calm night. Here is a map of the island with the major sights and services marked.